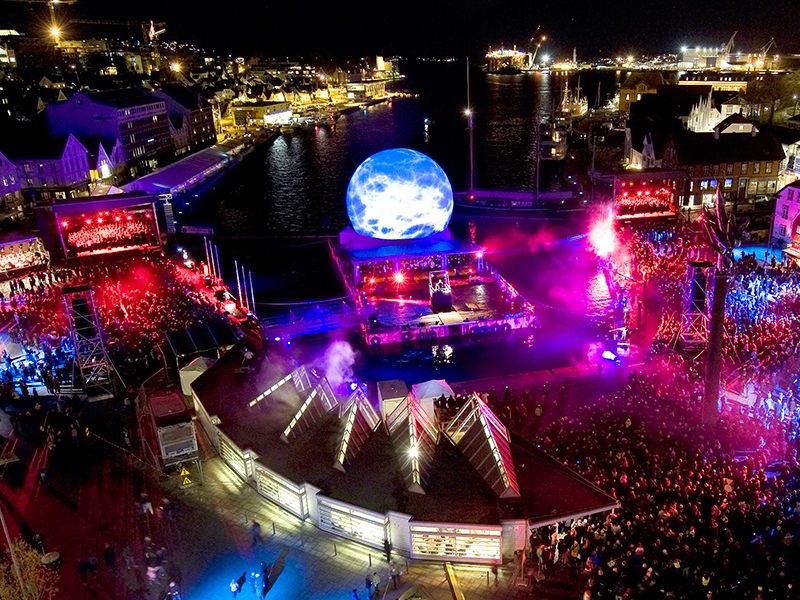 LM travelled to Stavanger, Norway for the closing ceremony for the 'European Capital of Culture' event. One of our 18m StratoSpheres was the centrepiece to a hugely impressive and visually spectacular show. Fixed to a floating pontoon in the harbour, and surrounded by thousands of visitors, the StratoSphere was the perfect video back drop for everybody to watch the action from. The layout of the site meant it was difficult for all visitors to see the stage, but a live camera feed onto multiple video windows allowed for a true 360 presentation, ensuring everybody could enjoy the show. Flanked by multiple spot lights, high powered lasers and a row of thrilling flame effects, it really was an amazing looking show that was truly a great success.